The vines are planted on a subsoil essentially composed of pebbleweaves(granitas) and metamorphic rocks. 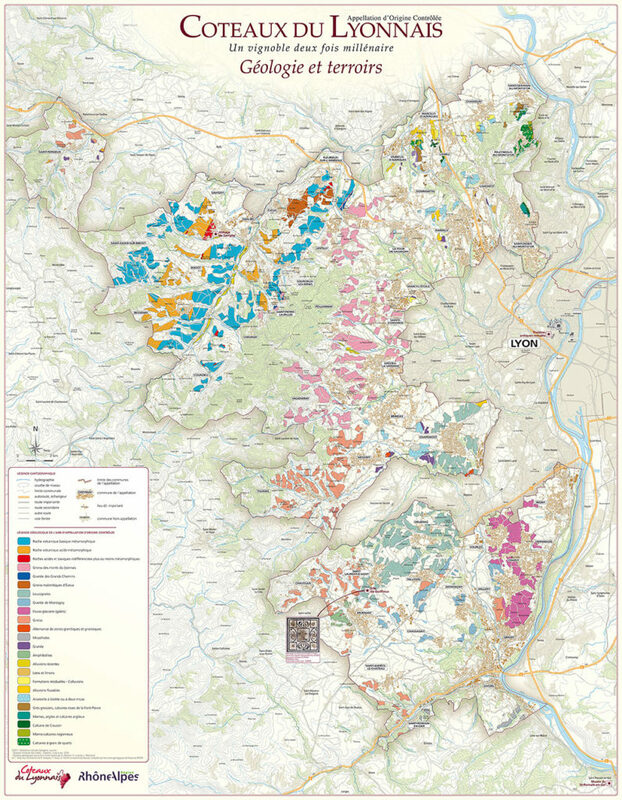 This does not prevent the soils of Coteaux du Lyonnais to be very diversified. Three major zones form the vineyard and are distinguished according to the different types of soil that compose them. In the north, in the Sain Bel area, soils are derived from the alteration of granite and metamorphic rocks. In the South, the Turdine Valley consists mainly of sandy soils. 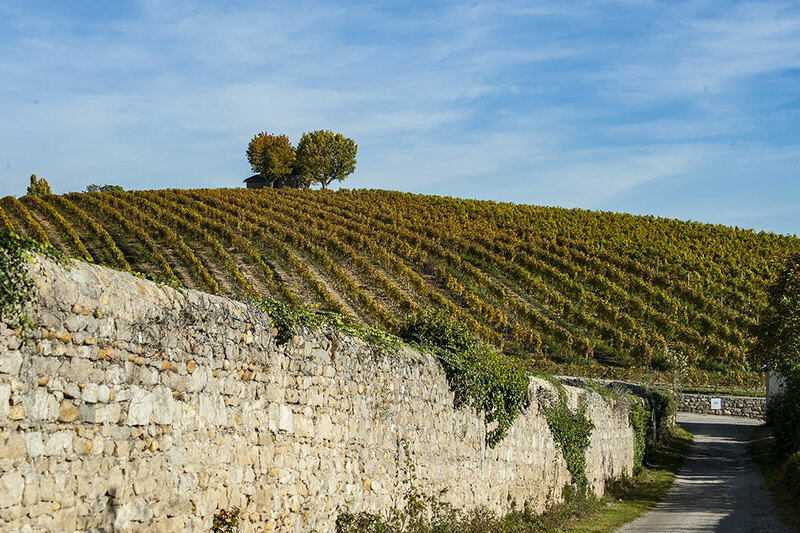 Finally, on the slopes of the Monts d’Or, the soils are deeper, clay-limestone and clay-siliceous. In summer, the Mediterranean accents are the most dominant. The weather can be dry and hot, with sometimes very high temperatures. The vines exposed to the East enjoy the best sunshine. In winter, the reliefs are more open to the climatic hazards of oceanic and continental type. This limits the setting-up of the vineyard to 550 meters above sea level and excludes it from the North exposures. The best situation is generally at the level of trays, which are more protected from oceanic air movements and continental currents. The duality of this climate leads to relatively large temperature differences depending on the rhythm of the seasons. 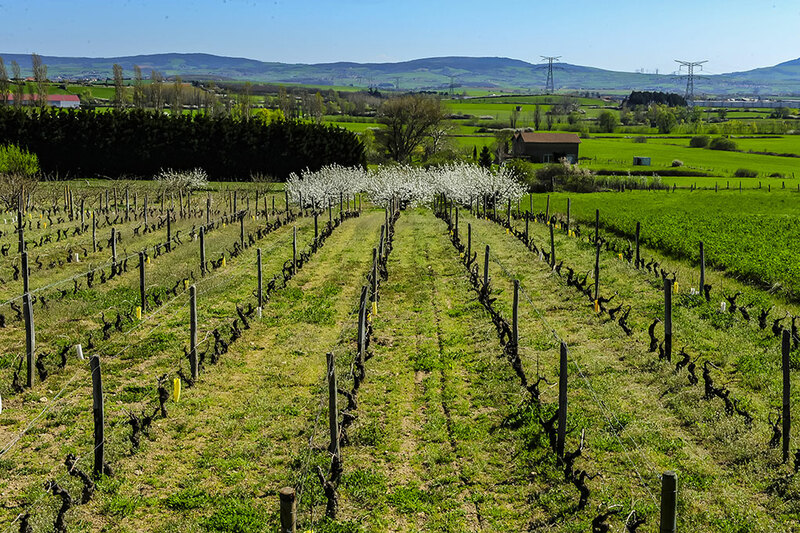 On this vast mosaic of soils, the vine growers carry with each step, the work of their ancestors and the secular knowledge of which they are the heirs. 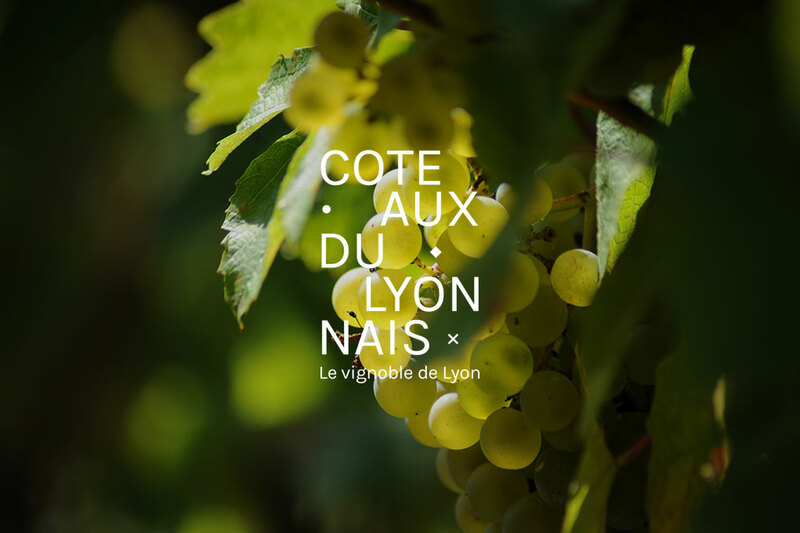 This report to the vine allows to hatch all the typicality of the wines of Coteaux du Lyonnais.